Our Guest Author is an award-winning, nationally published author, speaker, and photographer with seven books and more than 750 articles in print. 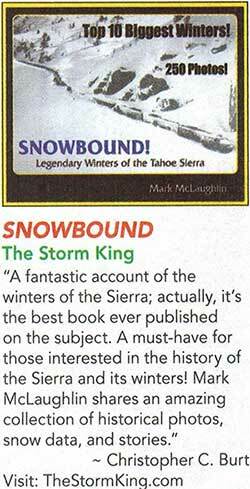 He has been a regular contributor to California and Nevada media, and has won 5 Nevada State Press Awards. Check out Mark’s diverse selection of informative presentations about the Lake Tahoe region, including weather & climate change, the Donner Party, western pioneer stories and Tahoe ski history. Last year’s winter was a shock and a warning: most of the mountains in northern Nevada were naked for most of the winter — no hint of snow! It was eerie, and felt all wrong, like seeing the sky bright green. 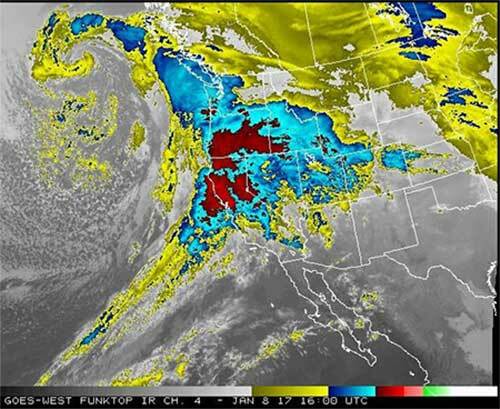 Sunday, December 18 2016 — A series of strong Atmospheric Rivers from the Pacific Ocean have pumped up water levels in Lake Tahoe for the first time in months. Heavy rain and high-elevation snow this October and December have gone a long way to mitigate the extreme drought conditions plaguing the Tahoe Sierra. 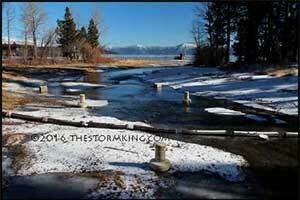 A strong current of water is now flowing into the Truckee River and the official start to winter is still days away! 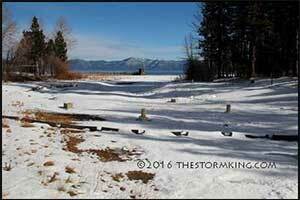 December 7, 2016 — Lake Tahoe was below its rim and the outlet to the Truckee River was dry. Dec. 17, 2016 — Rainfall raised Big Blue over its rim by several inches, creating the first robust flow of water into the Truckee since last summer. The 28.4 inches received since October 1 is more than 50% of what the region averages in a year. In many locations the month of October was the wettest of record. 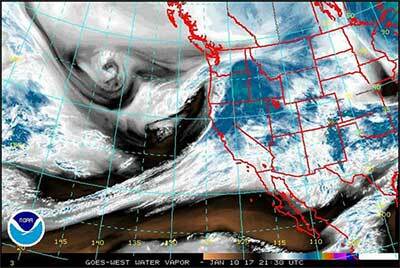 One storm alone added 11 billion gallons to Lake Tahoe, raising it 3 inches. Despite the boost, Big Blue still remained more than 2 inches below its natural rim. The current pace of precipitation is better than the beginning of Winter 2011, which ultimately ranked in the Top 10 as No. 8 wettest since 1871. The most recent Atmospheric River last week delivered nearly six inches of rain in 24 hours. With a summit near 11,000 feet, Mammoth Mountain Resort was slammed with nearly 5 feet of snow on December 16; the California record is 68 inches in 24 hours. Tahoe resorts currently boast upper mountain bases of from 3 to 4 feet while Mammoth Mountain’s snowpack is already 11 feet deep up top. Despite relatively high snow levels in recent storms, the ski slopes are looking good for this time of year. Just in time for the crush of crowds that will be showing up for the holidays. Are you stuck at home during the Gathering this year? Don’t dismay! We film the shows then upload them to our YouTube channel and our website, starting with the Wednesday, Febrary 1 show, “Kicking up Dust,” with Luke Bell and Doug Moreland and the Flying Armadillos. The show ends at 8:30 pm and takes a couple of hours to upload. Subscribe to our YouTube channel and you’ll get email notifications each time we upload a new video! See the full online broadcast schedule here, made possible by the Elko County Recreation Board. Sunday January 8, 2017 — Conditions are ripe today and tomorrow for a major flood in the Tahoe Sierra after previous cold storms dumped close to 8 feet of snow on area resorts this week. Temperatures have warmed considerably since early this week as a potent Atmospheric River of moisture surges into the West Coast. During a 36-hour period that began last night we’re expecting between 6 to 12 inches of water, mostly rain below 8,000 feet in elevation. NWS forecasters are warning that rivers and streams are at high risk of flooding, similar to the 2005-06 event which caused $300 million in damage to California. 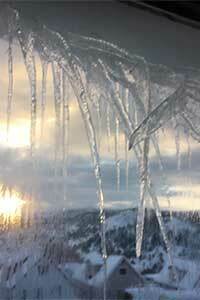 Tahoe has received record amounts of precipitation so far this winter. Squaw Valley USA recorded 94 inches in the past 7 days and the power has already flickered several times this morning. 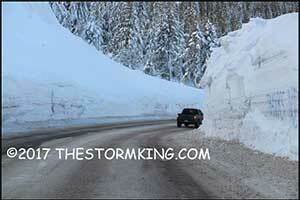 Here in the “Banana Belt” at Carnelian Bay we picked up only 3 feet of snow during the storms this week. I never thought I’d be invited to Pat Nixon’s birthday party — I cheered when her husband resigned the presidency — but here we are, Robin and I in Ely, stepping on board the Pat Nixon Centennial Flyer to make the ceremonial journey to Ruth in her memory. Engine #40 shoved us eastward far enough that it could be switched onto the westbound rails leading up to Ruth, and then tugged us gently up the slope on Ely’s north side, so that we glided, rocked and clicked slowly along above the little city, gazing down on it as if from afar. A bitterly cold wind was dragging a storm in behind it from the southwest, and for the passengers who braved the open flat car at the back of the train, what might otherwise have been a light drizzle was a sharp spray instead. At the Pat Nixon Centennial banquet that evening, Democrats were scarcer than Zoroastrians, but the atmosphere was nonpartisan. 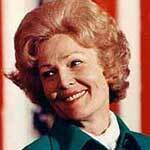 A magnificent supper was served, more words were uttered, more wine was poured, and perhaps for a few moments Pat Nixon was present, if only in our minds, to be well and truly honored for all that she was and for all that she did. pressure system off the coast of Canada is spinning in a counter-clockwise rotation bringing copious moisture up from the subtropics. If the cold Alaskan low was closer snow levels would be lower and the Tahoe Sierra would be experiencing many feet of snow as opposed to flood potential. 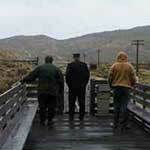 Statistically, the Truckee River experiences a damaging flood every 9 years or so. It’s been 11 years since the 2005-06 event. This storm is right on time! Heavy rain and wind continues to slam the Sierra today and tonight. Tuesday, January 10 2017 — A Blizzard Warning is in effect for the Tahoe Sierra until tomorrow morning. Heavy snow driven by high wind has created whiteout conditions on area highways and forced I-80 in the heavy snowbelt to remain closed all day. Placer County Emergency Services is doing robo-calls to alert residents that travel on regional roadways is highly discouraged except for critical needs only. And for the third day in a row, most Tahoe ski resorts remained shut down due to flood danger followed by overwhelming snowfall and avalanche concerns. Flood-related damage is being reported all over Northern California and Western Nevada. Still, main stem river flows on the Truckee, Carson and Walker rivers did not reach the destructive level they achieved during similar conditions in 2005-06 and not even close to the catastrophic New Year’s Flood of 1997. Snow began to pile up and picked up close to 5 feet of snow in the past 30 hours at the Lake. Snow management gets to be a full time job during storms like this! Squaw Valley looked pretty good when I there in mid-December, but the popular KT-22 chairlift was not running due to a lack of cover. Since my visit the upper mountain has picked up an additional 12.5 feet of snow not counting today’s blizzard. Once our weather settles down, skiing and snowboarding are going to be epic, just in time for the Martin Luther King, Jr. holiday this weekend. I used to recommend a certain path to follow through the streets of old Carson City, but I get to writing novels in my head about the original residents and get all turned around in my directions. Thanks to me, tourists were wandering around for days looking for the Ferris Mansion — yes, the ferris wheel Ferris lived here for a while as a boy — and other marvelous residences in all the wrong places. I may have been in a reverie as I passed the Rinkle Mansion, erected by a wealthy wholesale butcher and now occupied by various incarnations of the free press. The State Press Association is headquartered here, and the capitol bureaus of the the AP and the Las Vegas Review-Journal, and others too. I seemed to hear a party in progress, with exuberant babble and the popping of champagne corks. “Three cheers for the new Governor!” cried one voice above the clamor. “Not even one minute into his administration and a big scandal already! We’ve struck a gusher, boys! It’s the Big Bonanza!” A dozen voices were fervently singing, “For He’s A Jolly Good Fellow!” as I continued out of earshot. 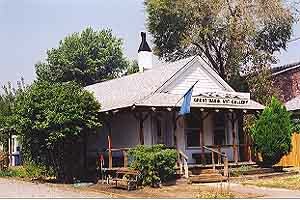 It’s just a short stroll south on Curry to the Great Basin Gallery, displaying Nevada art that is fabulous, exquisite, wonderful. Enter at your own risk, the art is captivating. Wednesday January 18, 2017— It’s snowing again as the first of 3 storms this week moves onshore from the Pacific to bring more snow. Snow levels reached 5 feet in the upper elevations near the Sierra Crest by Monday. Hopefully no one will fault me for wanting a break from shoveling massive amounts of heavy snow. Plus, after experiencing 4 days without electricity last week, I can tell you that no one in my neighborhood wants to see more falling trees taking down power lines. Snow removal crews worked non-stop during last week’s storms so that when the crowds of people enjoying the Martin Luther King, Jr. holiday took to the roads this past weekend, our regional highway system was in good shape to handle the heavy traffic. The snow was significantly deeper than this during the Top 10 winter of 2011, but we’re off to a good start this year. At 8,911 feet in elevation, the Mt. Rose Summit on Highway 431 is the highest year-round pass in the Sierra. Mount Rose is an extinct volcano and both the highest (10,776′) and most topographically prominent peak of the Sierra Nevada range within the state of Nevada. Despite its name, Mount Rose Ski Tahoe is located on nearby Slide Mountain. The ski resort has the highest base elevation in the Tahoe Sierra at 8,260 feet, which means that the slopes there get snow when it rains at other resorts, especially during Atmospheric River events. The resort has picked up 380 inches (31.6 feet) of snow so far this winter. The east side of the Mt. Rose Summit is a heavy snow deposition zone and prone to avalanches. Highway crews use explosives to try and control devastating slides. January 24, 2017 — The region is now recovering from overwhelming snowfall, frequent avalanches, resort closures, power outages and deadly tree falls. We are now experiencing a break from harsh weather, with the next surge of Pacific moisture about a week away. The recent winter storms set monthly snowfall records at many Sierra resorts. Squaw Valley, Alpine Meadows, Heavenly Valley, Kirkwood Mountain Resort and Mammoth Mountain all picked up more than 23 feet of snow during the first three weeks of January. For 18 days in February antique steam loco-motives from the Nevada Northern Railway in Ely and the Heber Valley Railroad in Utah chuffed and puffed and clanked and rattled as they combined to carry over 6,000 passengers to the Olympic Winter games — more that 1,500 miles — by steam train. Old No. 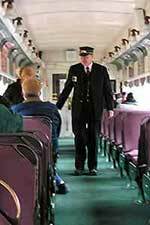 93 and the two coaches are making the journey back to Ely aboard heavy haul trucks, and will resume their scheduled excursions May 18 through September 15. 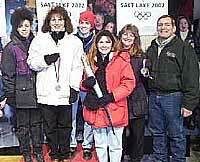 Old #93 wasn’t the only Nevada presence at the 2002 Winter Games. A team of volunteers from Wendover, Elko, Winnemucca and Battle Mountain combined with a bucking bull-riding competition to invite Olympics visitors to visit northeastern Nevada on their way home. Although many Tahoe Sierra resorts set their all-time monthly snowfall totals this January, they didn’t come close to the California record of 32.5 feet measured in January 1911 at Tamarack, California. It’s the perfect time to hit the slopes with Tahoe resorts at full operation again. 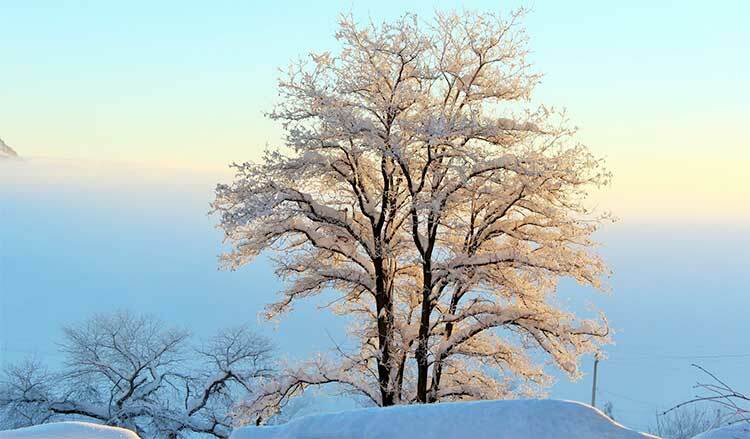 But beware, big winters often provide drama and risk for residents and visitors in the mountains. On January 12, while crawling along in southbound traffic on Highway 89 just north of the Squaw Valley intersection, a Tahoe City woman was killed when a snow-loaded tree fell on her Subaru. 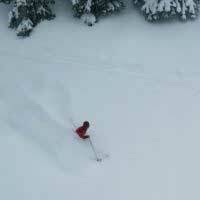 And on January 24 Squaw Valley ski patrolman Joe Zuiches was killed; apparently while conducting Avalanche Control on Gold Coast Ridge there was a premature detonation of one or more of the explosive charges that he was carrying. This winter is still on a record-setting pace as the wettest starting for the Northern Sierra 8-Station Index. Reservoirs in Northern California and Western Nevada are filling fast and some early storage releases are already in progress. Lake Tahoe’s water level has been on the rise since the first Atmospheric Rivers arrived in October. Currently Big Blue’s level is at 6,225.08 ft Mean Sea Level, well above its natural rim. This winter has also dramatically restored many regions in California that had been suffering from extreme and exceptional drought, including all of Northern California. On a lighter note, during the morning of Jan. 24 two young men traveling on Highway 89 near Alpine Meadows Road were hit by an avalanche and trapped in their car. The vehicle was suddenly buried under 6 feet of snow and David Ortiz and his roommate Neale were initially panic stricken. But after calling 911 and learning that rescuers were on their way the lucky pair decided to enjoy the moment and began taking selfies of themselves inside the snowbound vehicle. They were freed about 30 minutes later by first responders, one of whom took this photograph. And that’s not all! 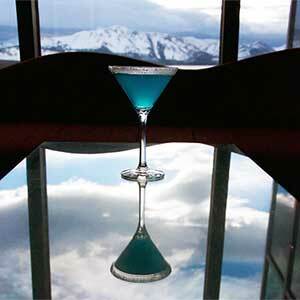 The alcohologists at Harrah’s and Harveys Lake Tahoe have concocted the perfect concocktail for this epic winter season. “The Atmospheric River blends the frosty peaks of the Sierra Nevada with the stunning blues found only at Lake Tahoe,” they lyrically assert. These master mixmaniacs combine Grey Goose Vodka; Hpnotiq Liqueur; Cointreau; Curacao; Sweet & Sour; and Seven-Up, blend it with ice and serve it up in a chilled, sugar-rimmed martini glass. The festive cocktail that celebrates blizzards and floods is available exclusively at the two California Bars, located on both Harrah’s and Harveys main casino floors. So come on in to Harrah’s and Harveys Lake Tahoe and toast this spectacular season by drowning in the Atmospheric River before it dries up!
. . . In Pahrump attend the Hot Air Balloon Festival on February 24th through the 26th. To the east go to Mesquite Music Fest on February 13th through the 15th. 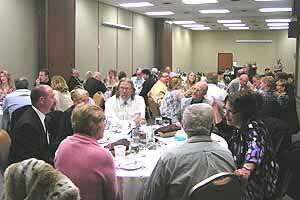 In central-western Nevada go to Tonopah for Elk’s Crab Crack-Dinner & Dancing on February 25th. 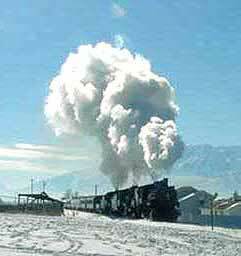 . . Off Highway 50, Ely hosts the annual Northern Nevada Railway Winter Photoshoot on February 10th through the 12th and the 17th through the 19th. 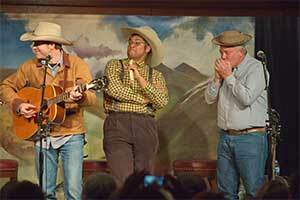 Up on the Comstock, visit Virginia City for the annual Father-Daughter Day & Dance on February 25th. 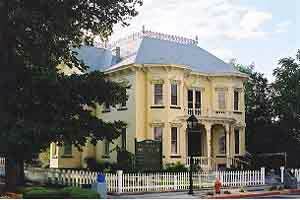 In Carson City on February 18th is the 18th Annual Feast of Chocolate. Next door in Carson Valley is the 8th Annual All-You-Can-Eat Crab & Tri-Tip Dinner on February 11th. . .
Answer a few quick questions to help us best serve you. Click here to begin. 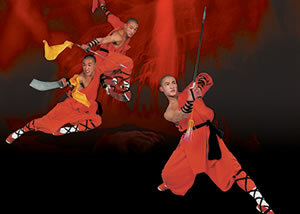 Further north in Sparks is the 2017 Lunar New Year Festival at Nugget Resort Casino on February 12th. Then in Reno on February 28th is Reno Mardi Gras. 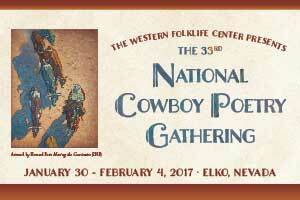 Off Interstate 80 in Elko is the 33rd National Cowboy Poetry Gathering that lasts through February 4th.